People in emergency situations rely on fast help. Live video streaming technology can accelerate the rescue process by sending images video live video from the area of danger immediately, from the most remote places. 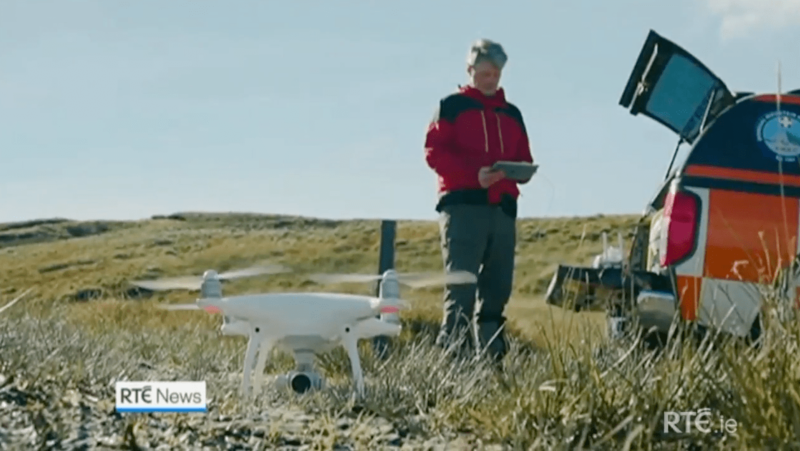 See how our partner DroneSAR is using Live Video Streaming from Drones and Mobile Phones for Search & Rescue applications for the Irish Donegal Mountain Rescue. Humanitarian organisations, such as the UNHCR, Firefighters, other First Responders, and medical professionals around the world are resolving to live streaming technology for safe, stable, and fast communication in situations of emergency. Using nanoStream technology, customers have been developing apps for emergency help and first responders around the world. With these apps multiple people can send and access live video simultaneously, creating interactive networks for rescue teams. nanoStream Apps allow video encoding from any device, whether a professional camera, a smartphone, or drones. The video material is then instantly and securely streamed via the nanoStream Cloud, which includes the bintu.live stream management platform to manage, tag and group streams to control multiple streams simultaneously. The live streams can be played back on any device with low latency, using the nanoStream Player apps and SDKs or the new nanoStream H5Live Player, for direct browser-based playback. We developed H5Live as a technology to enable low latency playback (below 1-2 seconds) in response to the discontinuation of Flash-based players. Playback with nanoStream is always adaptive to the streaming conditions, so live streams can be played back in remote and unstable streaming conditions, as well as in high quality in stable networks. Additional features, such as instant messaging and geolocation, can be added to nanoStream and help enabling interactive communication for rapid help. nanoStream software can be licensed as a cloud-based service, for secure streaming with no on-premise installation required. Or bring your own server and get a customised on-premise solution for your organization.